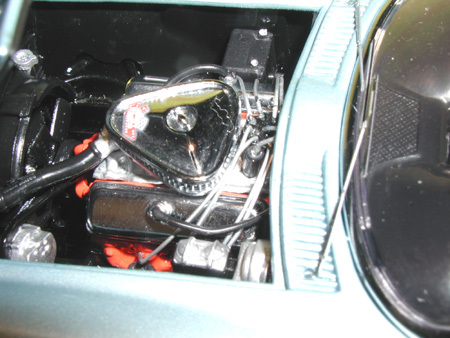 This model features opening doors, hood, detailed engine & interior, operating steering with flip-up headlights. 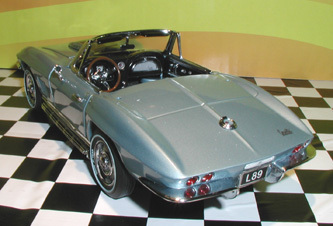 The hardtop is removable. The models in this collection are in mint condition. They were purchased directly from Franklin Mint, and then placed into airtight enclosed display units. Since the models were properly displayed, the paint is glossy and virtually rash-free. Most models include original paperwork, but for this collection, paperwork is not guaranteed. If we have it in our library, we will include it. The overall condition of the boxes is good to excellent condition. 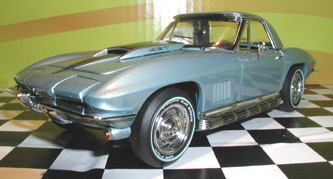 A comprehensive Franklin Mint Chevrolet collection of this magnitude and condition is very hard to find. Satisfaction Guaranteed!